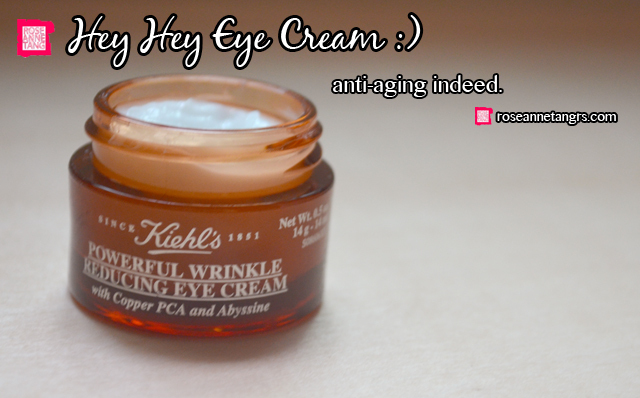 THIS Just IN: Kiehl's Powerful Wrinkle & Pore Reducing Cream! It’s always a good thing to hear about new products a little earlier than everyone else, especially when they haven’t hit the stores yet. 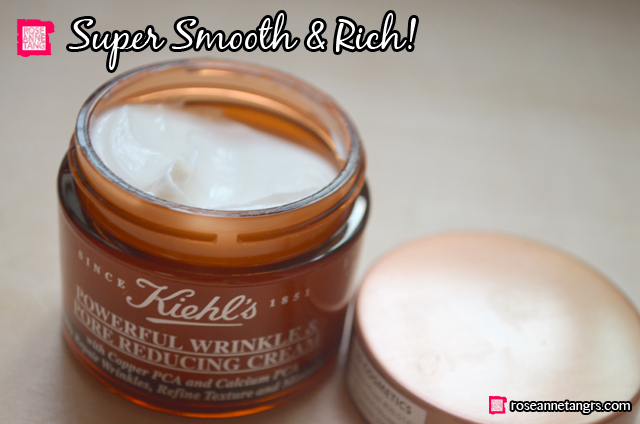 So, here’s a new one for you – the Kiehl’s Powerful Wrinkle and Pore Reducing Cream (let’s refer to it as the PWPRC)! This new cream from Kiehl’s will only be available in stores next month (in May) and is a brand new anti-ageing and wrinkle fighter cream! But you’re probably thinking – Roseanne, you’re far from getting wrinkles, you’re only 22! True but did you know that the loss of elasticity in your skin begins in our twenties? Maintaing elasticity is fundamental to preserving our supple faces – it keeps us from forming facial lines. 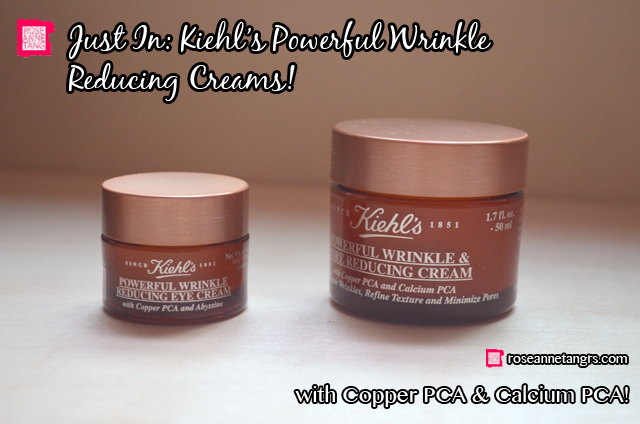 The Kiehl’s PWPRC is unique because it uses two ingredients – Copper PCA and Calcium PCA. I mean have you ever heard of copper skincare? 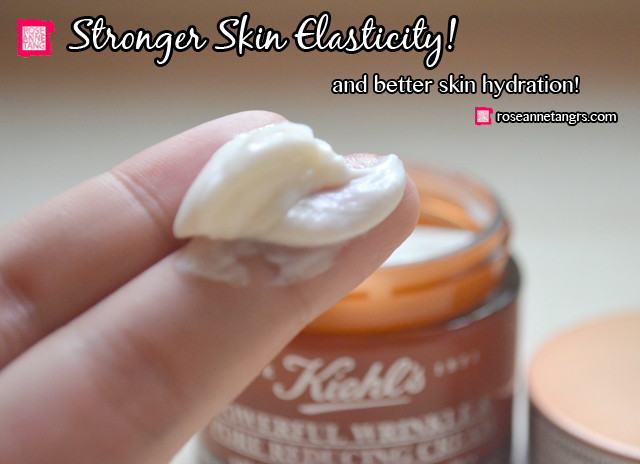 Kiehl’s found out that to protect and improve the skin’s elasticity, you have to organize and protect the skin’s elastic fiber network, protect and strengthen the skin barrier and restore hydration at the same time. It’s a multi-pronged approach. The science behind using Copper as a key ingredient in this skincare product stems from the fact that Copper and Calcium are both micronturients that are required by the human body to function. They then paired this with PCA that is naturally found in our skin, so it’s overall absorbed even better by our body. If we want to get even deeper into the science of things, Copper helps to simulate our DNA to produce more elastin, binds to lysyl oxidase that helps in the linking of elastin and it is lined to the remodeling of elastin through the regulation of key enzymes. It’s also an antioxidant that helps protect the skin from stress and pollution. Calcium on the other hand, is critical for cell turnover and regulation of the lipid barrier process that helps the skin to absorb nutrients better. Overall, it’s a great combination! Science out of the way, the textures of the cream are extremely rich and thick. This is for those of us who need a heavy duty moisturiser, it almost has a texture similar to Lanolin creams you can find in Australia. Saying that, it looks like it can for sure improve our pores and deliver intense hydration – which is actually great for pores and blackheads because it looses them up. I still need to try it out more to get a verdict in! There’s the PWPRC cream and also the eye cream! So what’s the research stats? Within 4 weeks, a consumer study found out that 81% reported fine lines and wrinkles were visibly reduced and 89% said that their skin texture appears smoother. A clinical study found a 49% reduction in puffiness and 38% reduction in dark circles too. Thats definitely something to look forward to come May. 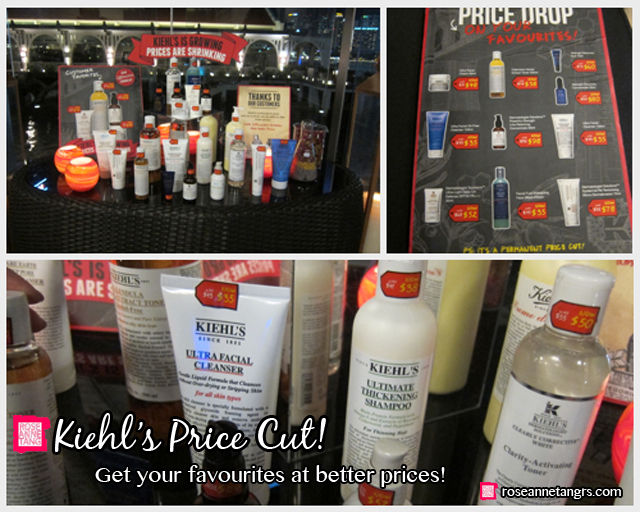 I just wanted to also comment that Kiehl’s is having a price cut! And a permanent price-cut for even their top best sellers! Expect about 20% discount for the items pictured below. I’m throughly excited to say that their Calendula Toner, Ultra Facial Cleanser and Cream and Creme De Corps are all at lower prices! 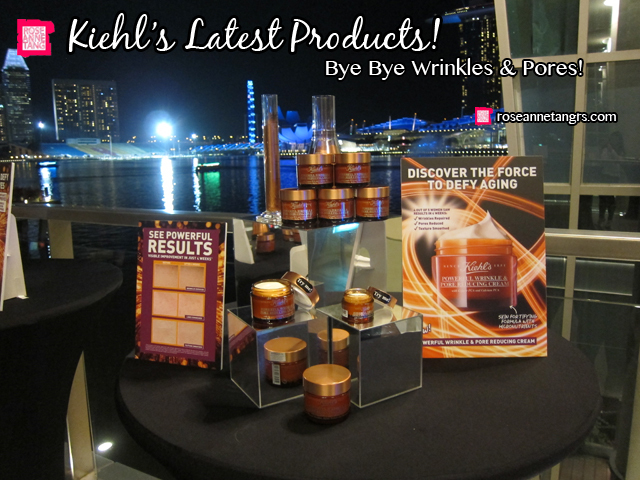 Gotta check them out now at Kiehl’s stores!! Kiehl’s has always been on my need to try out list and I’m finally getting into the mood of it! I’m using the SPF 50 now and loving it so I will do a review soon! Stay tuned to more updates 🙂 Let me know if you have any questions in the comments below! Revlon ColorStay Ultimate Suede Lipstick Review! Which is Better? Natural OR Synthetic Hair Make-up Brushes! VanityTrove Haul: Love is in the Air with February VanityTrove! Exam Stress Haul: Drugstore, Lush and Sportsgirl Make-up! Lancôme Show by Alber Elbaz Collection Haul! I really like your technique of writing a blog. I added it to my bookmark webpage list and will be checking back soon. What a information of un-ambiguity and preserveness of valuable knowledge concerning unexpected emotions. What’s up, I would like to subscribe for this blog to take newest updates, thus where can i do it please assist. Hurrah, that’s what I was searching for, what a stuff! existing here at this webpage, thanks admin of this site.